I have to admit that I think I have under estimated this park. 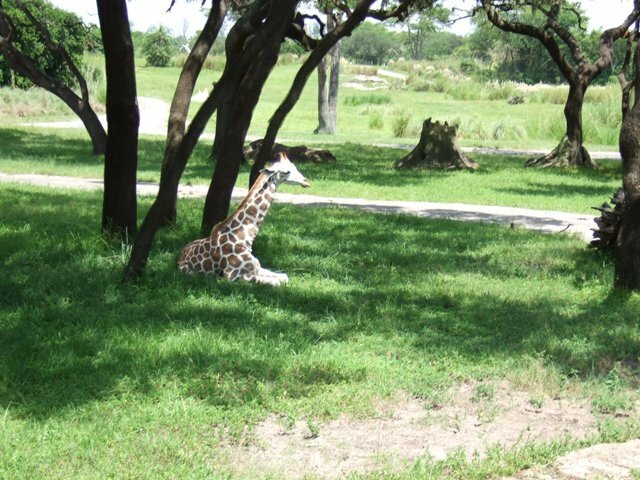 Animal Kingdom is Disney’s newest theme park which opened its doors in April 1998. I had only visited it twice, just after its opening and three years later - maybe because I have travelled within Africa I could not take it too seriously. 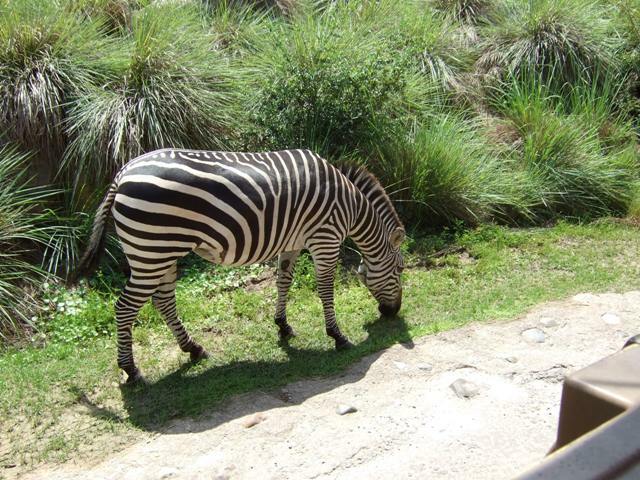 There aren’t as many rides as the other parks but it does have some, animals and trails to see and observe. (And after all, if the parks were the same it would be boring). 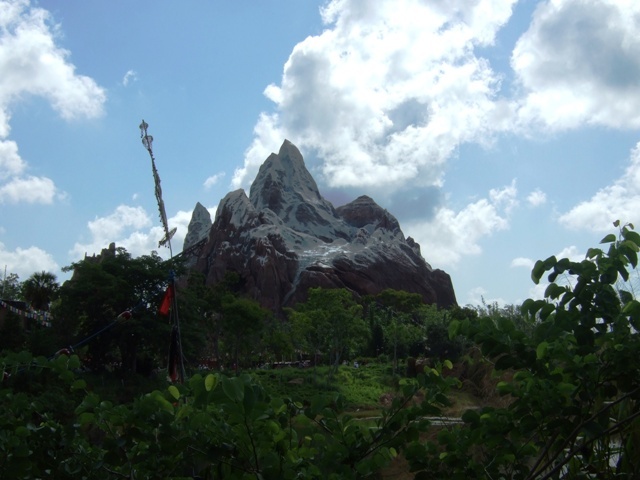 However I visited Animal Kingdom again this spring (2006) – the draw of the new ride ‘Expedition Everest’ was too strong to resist – and I was pleasantly surprised! As you walk up to the entrance, Disney set the scene playing African music with a strong drum beat, adding to your anticipation of a busy, fun day. The entrance is themed with trees, logs, greenery and flowers – a cross between the jungle and savannah. Once inside you have the choice of Discovery Island, Camp Mickey-Minnie, DinoLand, Africa and Asia. The scenery and atmosphere is very strong in this park. I chose to move quickly through to Asia and pick up a fast pass for new popular Expedition Everest ride and then went through to DinoLand. (The Kali River Rapids are in this area as well, but I once got absolutely soaked whilst stationary over a water shoot for what seemed like an eternity. I vowed that I would not endue another ‘shower’ - the ride just wasn’t worth the wet sensation I felt for the next 3 hours!). In DinoLand we did the Dinosaur ride….three times! The queue was around 15 minutes and my family enjoyed the whole experience – in fact it was the youngest who wanted to go on it 3 times as when she was younger the noise frightened her. It’s quite bumpy, dark and noisy so some children may not like it. Disney allows ‘child swaps’ if you find your child gets anxious nearer to the ride or you feel is too young or not tall enough to enjoy it. These child swaps enable you to go on whilst another parent waits with the child and then you swap places. I found this system very useful when my children were babies and toddlers. In DinoLand we also enjoy Primeval Whirl. Okay it’s a sophisticated version of a waltzer at a fair but we like its simplicity! 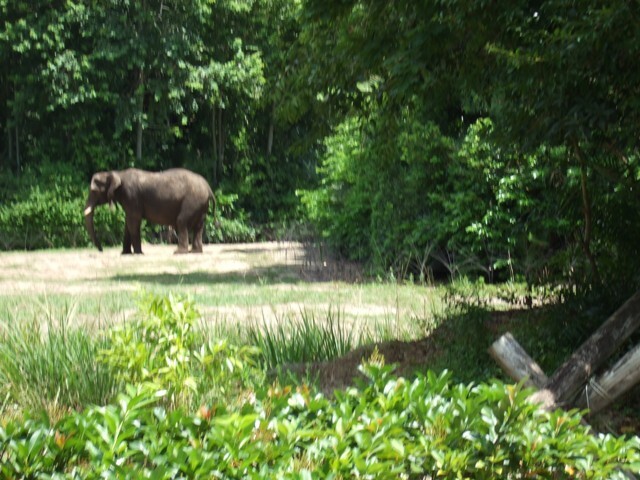 We then walked around to the Kilimanjaro Safari. The girls love the experience. 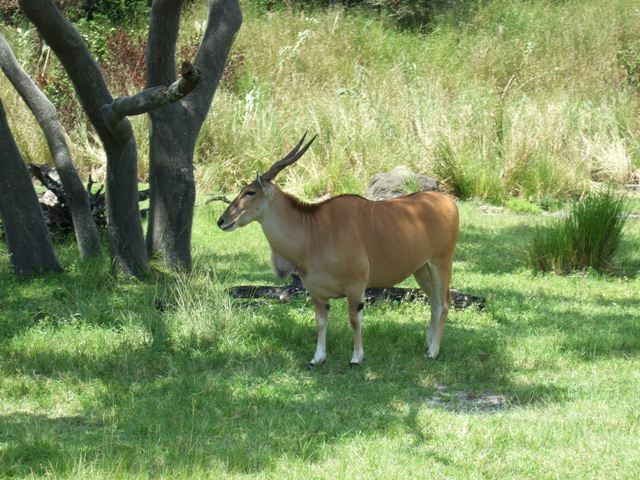 I personally find it weak as I have done a safari and it is often difficult to see animals when they are camouflaging in the warm sun. However, it does give you a feel for what a real safari would be like. It was then time to go back to Asia and do Expedition Everest – this has become one of my favourite rides. Not the scariest but with twists, turns and surprises. Great fun! By now we were getting hungry. There are various restaurants to choose from like the Rainforest Café or character dining at Restaurantosauros, where you can meet Donald and friends. There are also quick service eateries serving burgers, pizzas, chicken and ribs to name a few. We followed our lunch by going to watch The Lion King. This has to be one of my favourite shows at Disney, Orlando. The costumes are wonderful. The story is great and the music is fantastic. The show is just beautiful, well worth seeing and it’s hard to see anyone who isn’t clapping, singing or tapping their feet. Stunning! We then had a short walk to see ‘It’s tough to be a bug’ a 3D show with the characters from Bugs life . Beautifully put together with lessons to hear within the script. Pocahontas is a gentle show where she talks to Grandmother Willow about the world and its affect on animals. You also get to meet some of her ‘animal’ friends who perform for your delight. I just love to hear the song ‘Colours of the Wind’ from the film beautifully performed – a song I always find very emotive. Like the other Disney parks there are opportunities to meet Mickey and friends and a high energy, feel good afternoon parade full of colour. 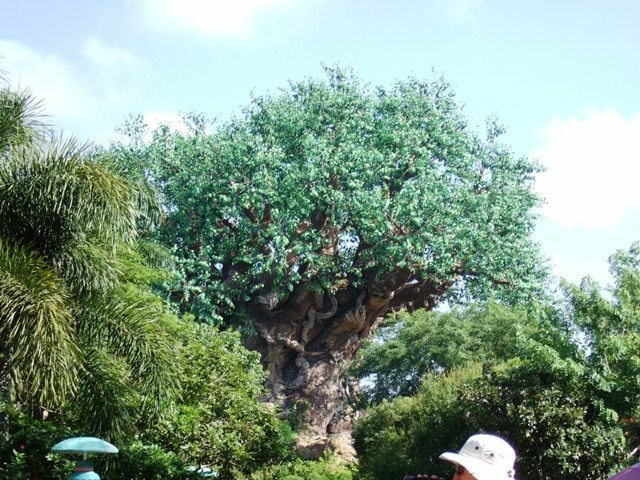 I’ve grown to appreciate Animal Kingdom and I plan to go back very soon. Viewed 4335 times since 1 September 2008.